Fall Services from Woodland Tree Service Fall is a great time to be outdoors, care for our trees and landscape, and keep your property looking great. There are many ways to do this and many considerations to think about. As the leaves change color, Woodland Tree offers a variety of services for this season of the year, including tree fertilization, leaf collection, cool season grasses, and firewood. Fall is a great time to fertilize trees and shrubs. Even though the fall and winter is considered a dormant period for many plants; tree and shrub root systems are still actively growing. Fall fertilization allows trees and shrub roots to take up much needed nutrients, expand their roots, and be ready for spring growth and flowering. Deep-root fertilization is the most effective way to fertilize trees and shrubs. 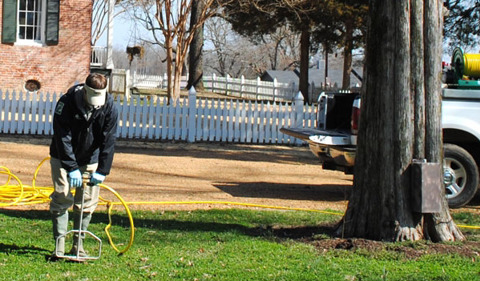 The fertilizer is injected on a grid pattern throughout the tree's root zone to ensure even coverage and availability. The high pressure injection forces the water fertilizer mixture throughout the root zone which feeds all the roots and helps to reduce soil compaction. 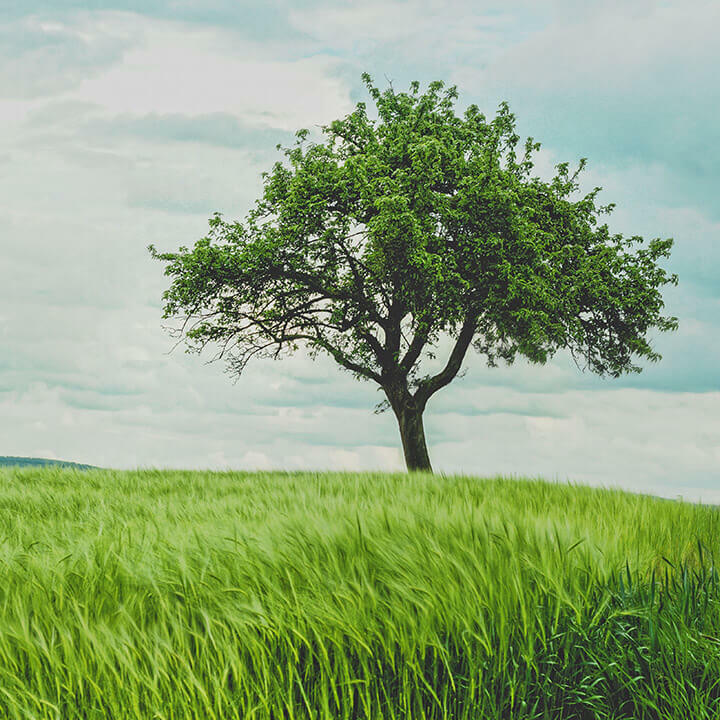 For trees with limited roots zones or damaged roots, fertilizer can be injected directly into the trunk via trunk injection. This application method results in instant uptake and returns stressed trees to healthy and vigorous growth. Trunk injection fertilizer is a great alternative to deep root fertilization, but must be done in early fall, while leaves are still on the trees. 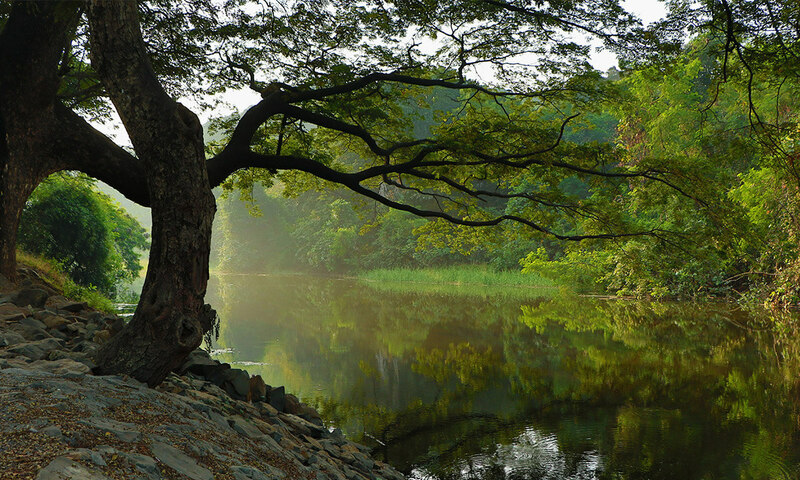 Trees succumb to stresses, disease, and insect attacks everyday. 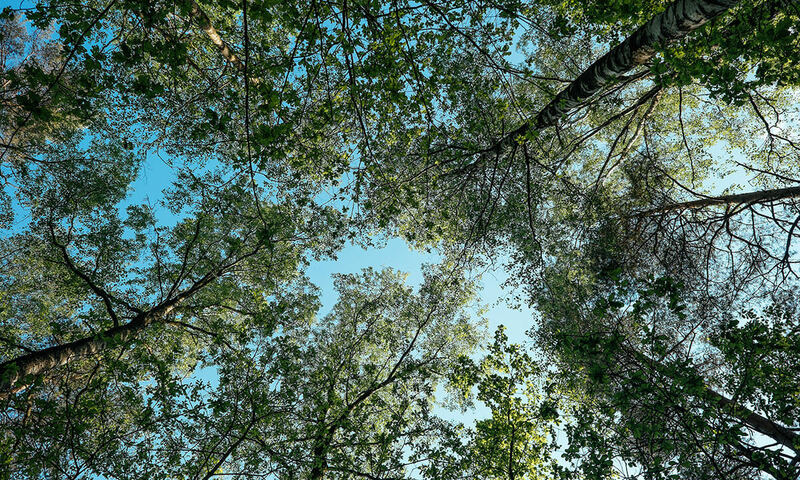 Properly fertilized trees are able to overcome stresses and defend themselves against insect and disease and have a pro-longed lifespan compared to non-fertilized trees. 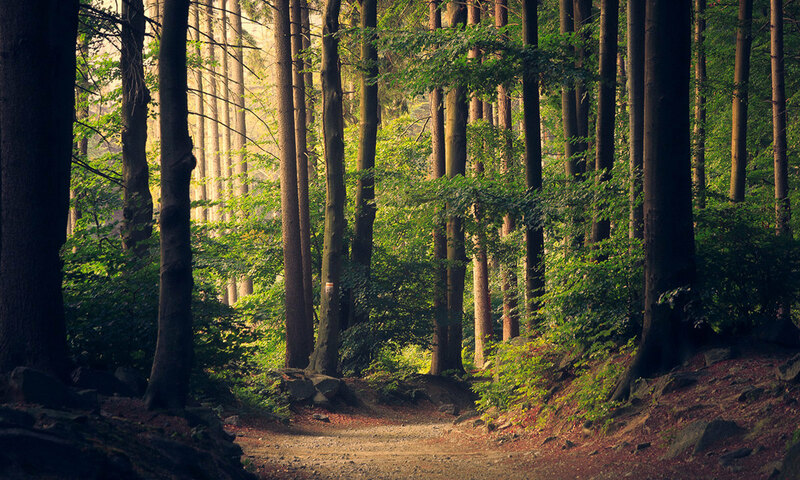 Fall is prime fertilization time and Woodland's fertilization methods ensure trees get the nutrients needed to stay healthy and vigorous. Woodland Tree Service offers leaf collection within Shelby County. 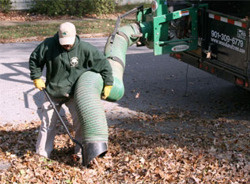 Our crews use high power leaf blowers to remove the leaves from your yard and landscape beds quickly and efficiently. We can schedule single or multiple clean ups so you can enjoy a clean looking property throughout the fall and winter. Another one of the fall services we offer to you is quality firewood. Don't settle for that firewood sold on the side of the road. We sell southern oak, some of the best wood available and deliver it straight to your home. If you prefer, we have other woods available. We deliver 4x4 pallets of firewood with 110-120 pieces of 18-22" length logs. Enjoy your fall and winter by the fire and let us do the work for you. Let us keep your trees healthy, leaves removed, and lawn seeded. Call (901) 309-6779 or email us at info@woodlandtree.com to order firewood or schedule a meeting with our arborists today.